For the next post, Tim Gunn is going to take a few of his former fellow academics to school, in his own high-class way. 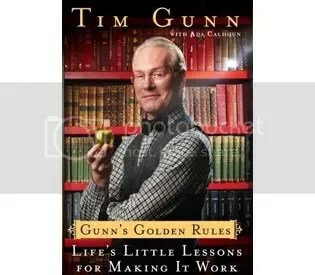 Subscribe to comments with RSS	or TrackBack to 'Reading Gunn’s Golden Rules So You Don’t Have To: On Why You Should Listen to Tim Gunn'. Tim Gunn rocks, and I look forward to reading the rest of the series!